In the upper left corner of this page you can see the RSS feeds for this blog. Also at the bottom I've left in the customary xml button that comes with this EasyBlog template. The one in the left navbar is a modification of the RSS feeds that are supplied by the website building software i.e. Site Build It! The original feeds are for RSS/BlogIt the site blog e.g. 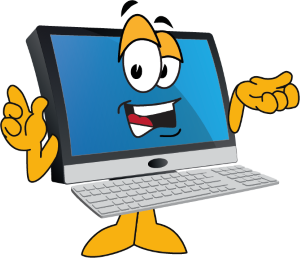 "What's New" I have modified the code to feed the "Tool-Time-Blog RSS feed. So, then the question becomes whether you should have BOTH the RSS/BlogIt orange button in your Nav Bar along with the EasyBlogs orange button on your blog pages. Answer: It is up to you! Personally, I think that having 2 (different) orange rss buttons is confusing and a little misleading unless they supply the same feeds. You don't want your RSS/Blogit feed going out in place of your EB feed when your readers are expecting your EB feed. Given this, I would opt to leave the orange button and link to your EasyBlogs RSS feed (at the bottom) on your EB blog pages while not putting the RSS/BlogIt orange button anywhere on the blog, at all! You modify the RSS/BlogIt! 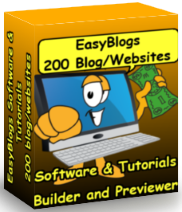 code to feed your EasyBlogs .xml file to the web. Since the RSS/BlogIt! feed only comes with your SBI navbar this point is moot if you don't add your SBI navbar to your EasyBlog. Which you have to do to get it on there in the first place. The templates only come with the EasyBlogs navigation, so you might be more interested in modifying and adding this feature to your blog. Most importantly is - I can not get fired regardless of performance or corporate decision to put my name on a list. Remarkably, Site Build It! has all that and is geared specifically for online business. I could not have found a better work at home solution. And believe me I researched it. See why you need SBI. That's right "SightBuildItRss" is now SBI Rss Tutorial. Best website Tools has been going through this huge tutorial about adding a 'real blog' to your SBI website. Along the way it became apparent that there is a lot of information that existing bloggers could use right now. If you were a member of SBI Rss you might remember that there were a lot of articles for modifying your template to get more juice out of it. I thought these articles should be free to all. So I decided to create< A href="https://www.best-website-tools.com/sbi-RSS-Articles.html" class="entrylink">SBI Rss Articles. Learn the tips and techniques I use to develop professional dedicated blogs. 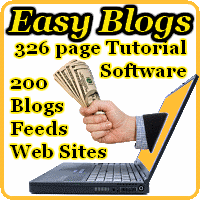 See why this is the best way to blog. Here is a sample of the articles you can find; Article Meta Tags - Add Keyword and Description Meta tags To The Pages Generated in Easy Blogs. You can now add codes to your templates that will insert default keyword and description metatags to all the pages of your blog. Plus add comments & auto-discovery to your articles, too! 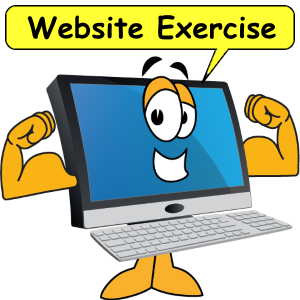 I was just thinking (uh-oh look out) that website exercise is like any good muscle building program. WOW, what a concept. If you work your website it will build strength. As with any living thing you need to keep the fat off and exercise the muscles to stay healthy. It's an SBI Halloween, website building tricks and treats. Site Build It! is one big a bag of candy. The history of Halloween goes way back to an ancient Celtic ceramony. Scary as it seems the church (who couldn't stamp out the tradition) decided to create All Saints day to compete. All Saints day was established in the medeaval time and is November first, making it the day after the Celtic holiday, October 31st. All Saints day was created to honor all those Saints that did not already have their own day of worship. Thus, the holiday is also know as "All Hallows Day." Naturally "All Hallows Eve" precedes "All Hallows Day." And that is where the term Halloween is derived from. Only in modern times has this sacred day been turned into the holiday we celebrate now. The one ritual that has survived through the ages from the ancient Celtic tradition is dressing up in costumes and masks and gathering in the streets to trick or treat your fellow neighbors. Seems the church couldn't stop this practice either, so they decided to join it and proclaimed "All Hallows Eve" to be a time of celebration. And that is how Halloween got to be so popular in today's society. SBI Halloween is celebrated at SiteSell.com with a special offer. You can't beat this with a broomstick.